The bakery chain Greggs has been banned from selling its pasties as Cornish because it doesn't contain traditional ingredients. A Cornish Pasty is made with beef, potatoes, onion and swede and the product Greggs was selling didn't. They've also been told they can't use the label Cornish as they aren't made in the county. Greggs planned to move it's production to Cornwall but has instead decided to drop the Cornish tag. Cornwall's first ever Pasty Festival begins today in Redruth. 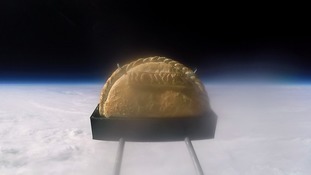 It will celebrate the origin of the pastry- said to have been created as an easy meal for miners- as well as offer such delights as pasty-flavoured crisps and brand new fillings including chilli chocolate.